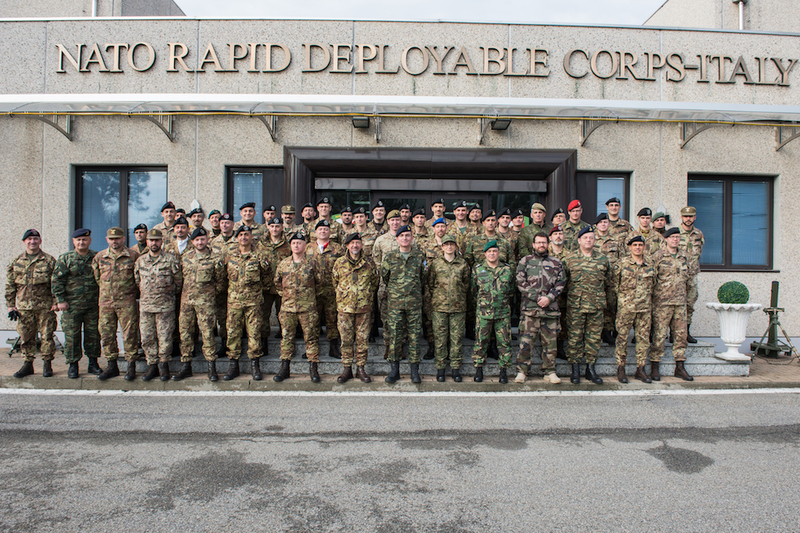 Solbiate Olona (VA), 27th-31st March - NRDC-ITA HQ conducted ACO Combat Readiness Evaluation (CREVAL) Course for Land Forces. The course was delivered on-site by the Mobile Education Training Team (METT) of NATO School Oberammergau (NSO). NSO METT was consisted of 4 (four) instructors. 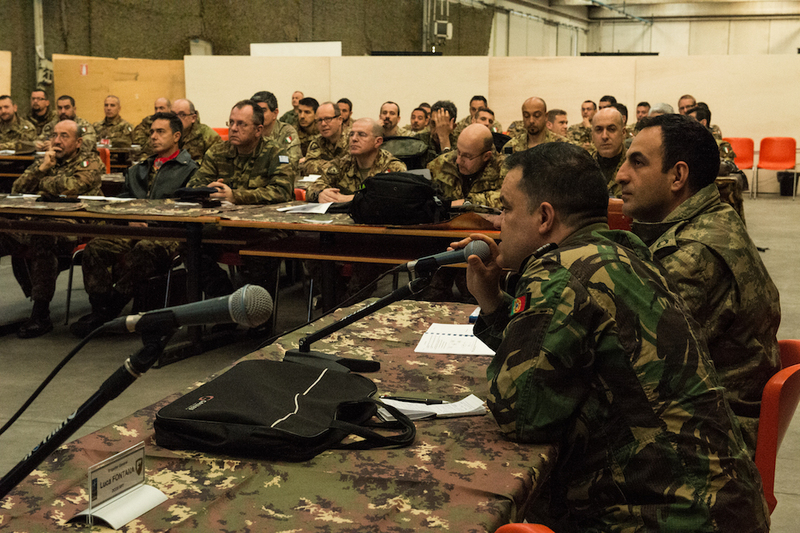 In accordance with ACO AFS VII, students had the opportunity to receive lectures from the best NATO has to offer in that sector which is SHAPE J7 EVAL and LANDCOM J7 EVAL. The whole responsibility of the course belonged to NSO which provided the CREVAL Course Director. The CREVAL course was attended by totally 54 (fifty four) students. 34 (thirty four) were coming directly from NRDC-ITA HQ and they are members of the CREVAL HQ Internal Steering Team (CHIST) whilst 20 (twenty) students were coming from different formations of the Italian Army and they consist the Italian Army General Staff (IAGS) Evaluation Team (ET). 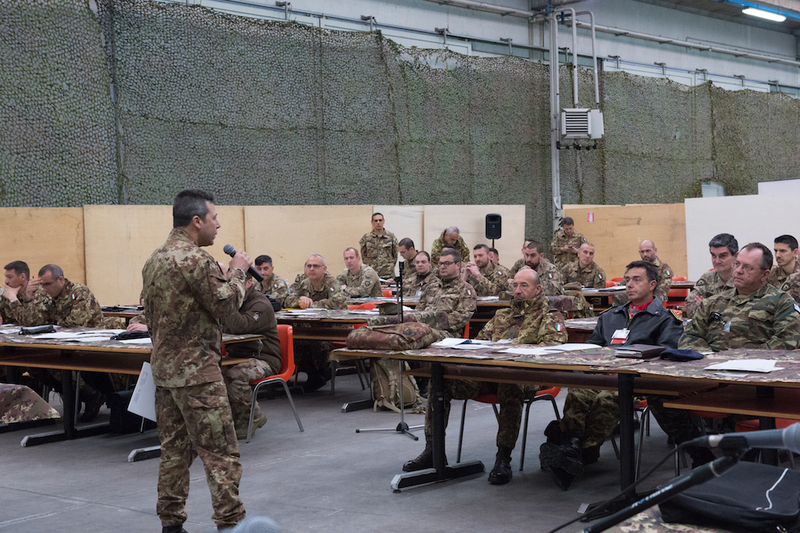 The course took place inside HANGAR 28 training facilities at UGO MARA Barracks in Solbiate Olona (VA), Italy, from 27 to 31 March 2017. 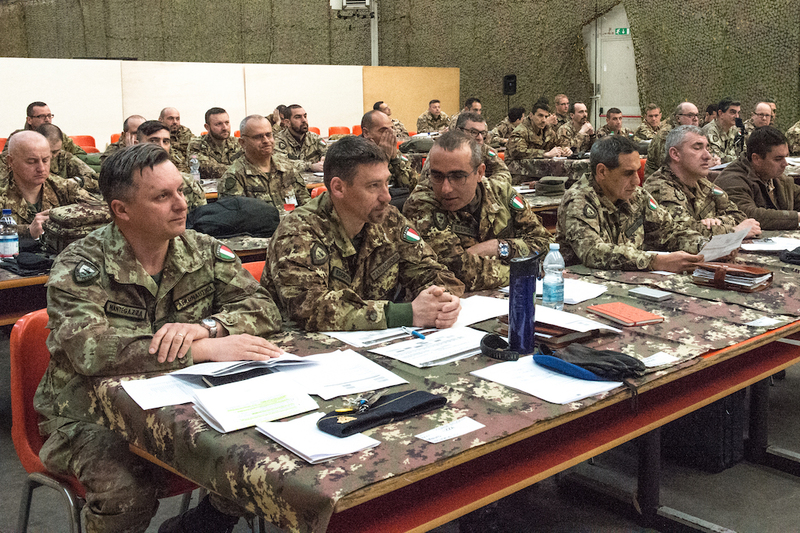 The specific aim of this CREVAL course was to prepare the NRDC-ITA selected staff members as NATO evaluators and Italian evaluation team members to conduct Combat Readiness Evaluations (CREVALs) in Land Units and HQs, while harmonizing NATO and national directives on them, focusing on the Exercise BRILLIANT LEDGER 2017.